The Custard TV: REVIEW: BBC2's Colateral. Does the stellar cast deliver a steller drama? REVIEW: BBC2's Colateral. Does the stellar cast deliver a steller drama? 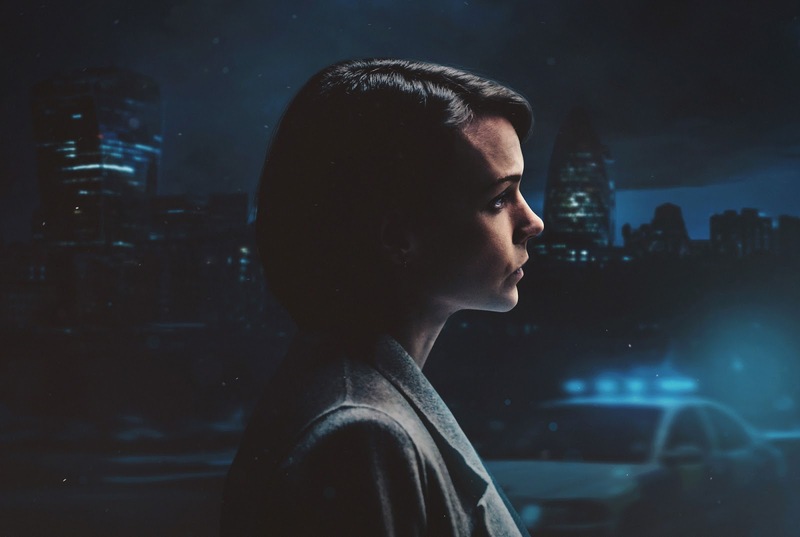 Carey Mulligan leads a stellar cast in BBC’s new crime drama Collateral. Written by David Hare, the four-part thriller follows DI Kip Glaspie (Mulligan) as she investigates the murder of pizza-delivery guy Abdullah Asif (Sam Otto). However, unlike your typical police procedural, we’re not just seeing this event through the eyes of the investigators, but also through the perspectives of a series of seemingly unconnected characters. Hare has described Collateral as a “whydunit” instead of a “whodunit” and that certainly seems to be a fair assumption, as the series is more interested in figuring out why Asif was shot, as opposed to figuring out the identity of the perp who committed the crime, which gives the show a unique approach when compared to previous cop dramas. However, two-dimensional characters and some odd dialogue choices hinder what could’ve been a really compelling drama. Don’t get me wrong, there’s plenty to like about Collateral. For instance, the storyline in itself is great. I’m very fond of television shows that follow multiple storylines simultaneously, and I thought Hare did a really great job with bringing the separate arcs together. Collateral is incredibly complex, that’s for sure, and I’m really looking forward to seeing how it unfolds over the next few weeks, but my main concern is Hare’s decision to reveal the killer’s identity early on in the first episode. I understand that the writer is trying to reinforce the idea that this is a ‘whydunit’ and not a ‘whodunit’ and thus the killer’s identity isn’t important, but I personally thought that the reveal killed some of the momentum. By the end of the episode, we discover that the killer is a captain at a military school, which I’m assuming was supposed to be the stage that the audience starting asking why she did it. It’s not that I wasn’t asking why, because I certainly was, but I was also asking myself if I truly care. And so far, the answer is: not really. And that is because very little of the characters in Collateral are developed enough for viewers to care about them. Compelling characters are the key to award-winning television. Take a look at Happy Valley or In The Flesh. In order to come back and watch the next episode, we need to connect with our protagonist. We need to know what they want, as well as the lengths they are willing to go to in order to achieve their goal. This is where Collateral falls flat for me. Again, the storyline itself great but I feel that Glaspie isn’t a great protagonist because we don’t know very much about her. Why should we follow her if we don’t know her? Or more importantly, why would we want to follow her? Maybe if she had previously suffered a trauma while on the job and, as a result, struggled to investigate, then we’d be more inclined to feel something for her. A compelling character needs to feel like a real person (and to some-level a backstory) but so far Glaspie feels like nothing more than a two-dimensional cop. Mulligan is great, but the character feels underdeveloped. The only character that I connected with was Jane Oliver (Nicola Walker), who at this stage is the only one who I felt truly has something to lose. Jane is willing to do whatever it takes to keep her girlfriend safe, even if it means lying to the police and, considering she’s a vicar, this is conflicting for her. I hope she features more in future episodes, because Walker is wonderful and her performance alone is worth tuning into the show for. I also had a few issues with the dialogue used throughout. The best screenwriters use dialogue as a tool to get across relevant information in a believable way. When done correctly, viewers aren’t even aware that they’re being fed the information because the dialogue seems so natural. Yet there were several instances in Collateral that the dialogue felt unnatural and out of place. An example is the scene in which we meet David Mars (John Simm) and Sukie (Kim Medcalf). It’s riddled with exposition, relaying the pairs previous dating history to viewers in the most unnatural way. I wasn’t too keen on all the political stuff either, and I’ve still no idea what David’s connection to the Labour party has to do with the murder of Abdullah — or why Hare felt compelled to include it in his narrative — but perhaps that revelation is being kept for a later episode. If Hare was hoping to contribute something original to a genre that he claims has been done to death, then he certainly accomplished that with Collateral. The ‘whydunit’ approach is a unique way of telling this complex narrative but, ultimately, we need engaging characters to keep us watching and, Jane Oliver aside, there doesn’t appear to be many of them yet. Let’s hope that this will change in coming episodes. 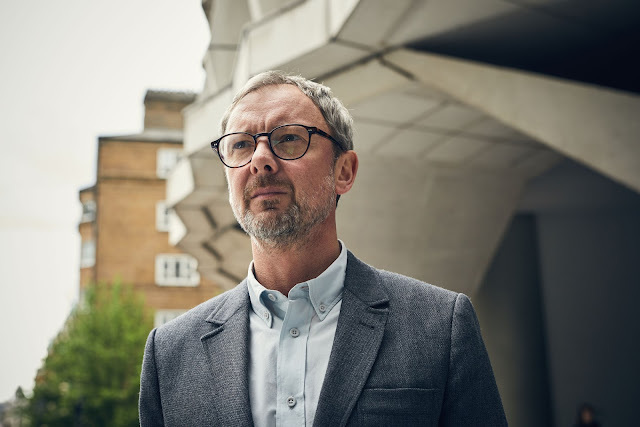 Collateral continues Mondays at 9pm on BBC Two.